The use of glass in new buildings and retrofit projects continues to increase, and its applications aren’t limited to exterior windows. 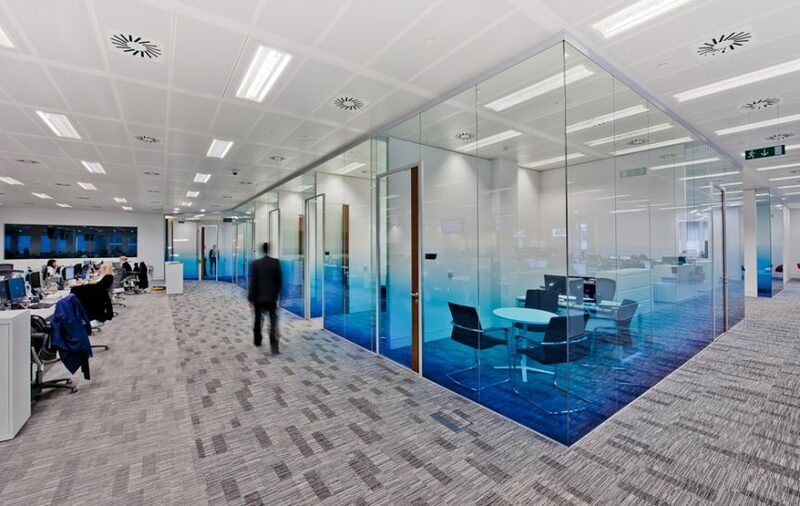 Glass is being used inside as well, from glass-walled offices and cubicles to partitions and stairways. 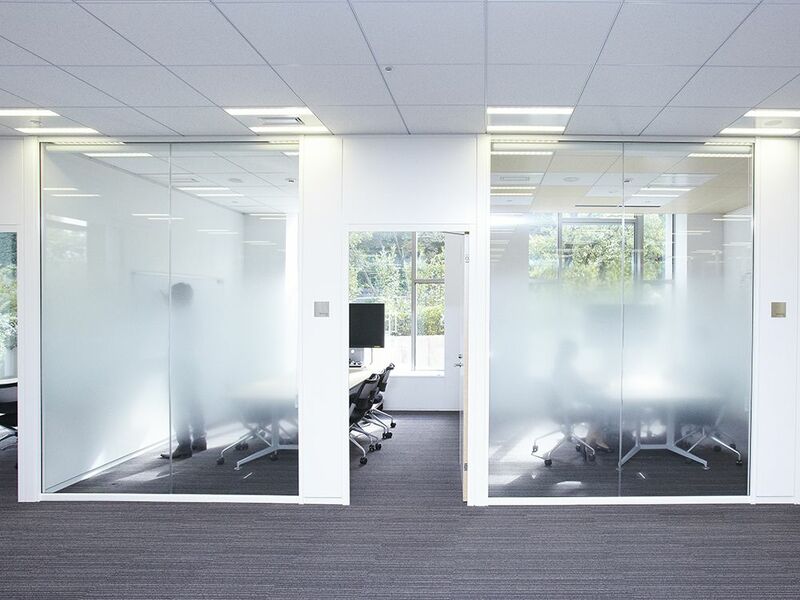 Using glass on both the interior and exterior allows natural light to flow throughout a building, encourages collaboration and productivity by eliminating visual barriers, and making a space feel larger—allowing everyone to see what others are doing. However, there in lies the issue, not everyone wants to feel like they’re in a fishbowl all of the time. In an effort to meet our clients needs, we are happy to partner with SOLYX films to bring decorative window films directly to you. 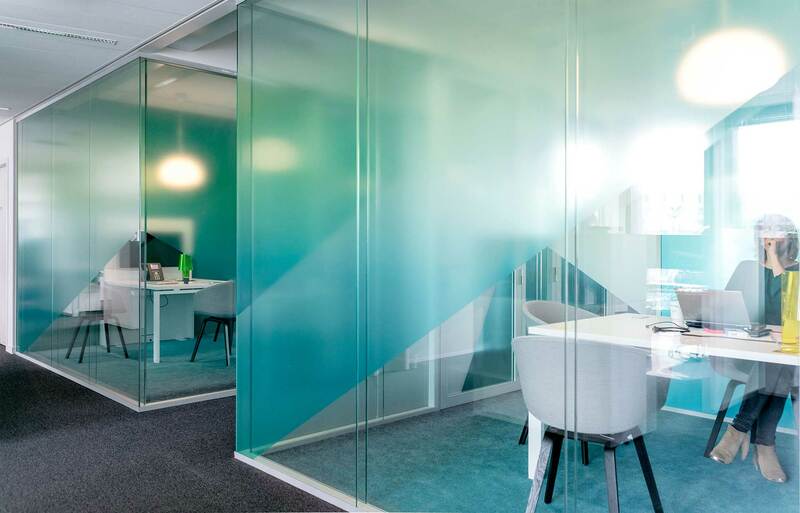 These high-end films will give your office an aesthetic update while ensuring the privacy needed without blocking natural light. One of the best features about decorative window film may very well be it’s unlimited possibilities—if you can dream it, we can make it! 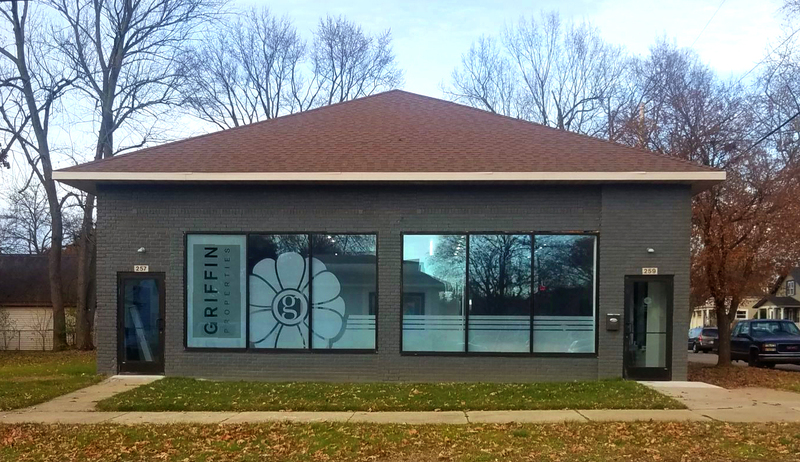 Decorative window films can be designed to incorporate elements of your brand identity; films can simulate die-cut imaging to create a “word cloud” to motivate employees or communicate your company’s core values with clients. Using vector graphics, we can design custom patterns—or you can select from an assortment of fantastic patterns to suit any design scheme. 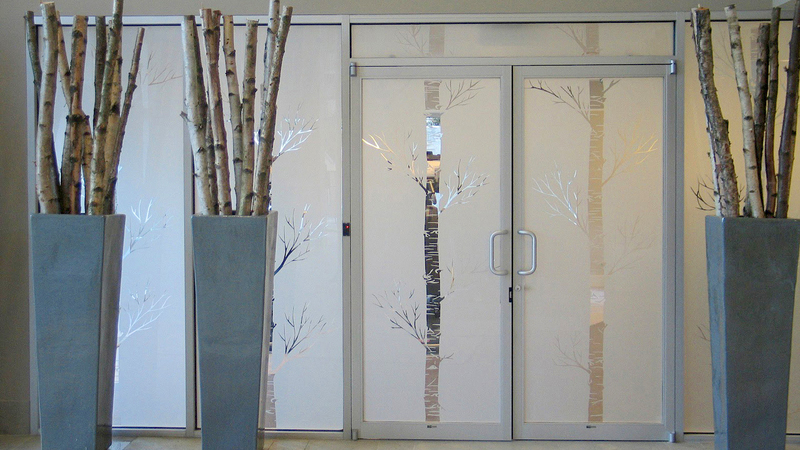 Now, you may be wondering what additional benefits come with decorative window films? We’re glad you asked! Window films are one of the most versatile, cost effective, and useful design elements on the market today—exceeding traditional screen printed or etched glass options. It’s super clear polyester gives the graphics the appearance that the designs are floating on glass while graphics appear crystal clear from both, the first and second surface of the glass. 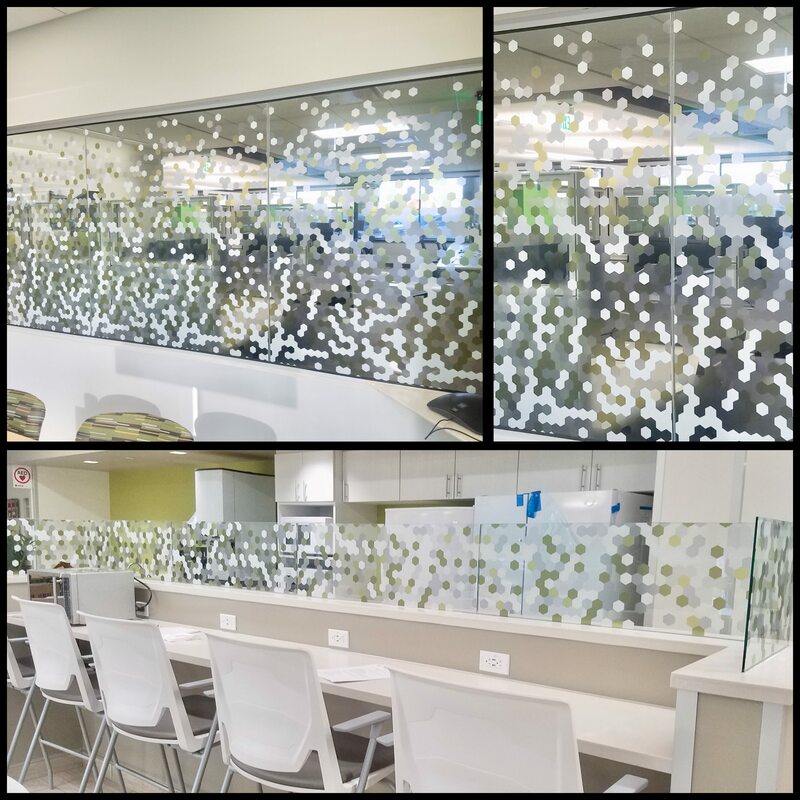 When it’s time to freshen up the work space or update the company’s logo/ brand identity, you’ll be glad to know your custom decorative window film is easy to remove and replace with a new finish. No worries, it’s just as easy to match Pantone or paint color swatches. 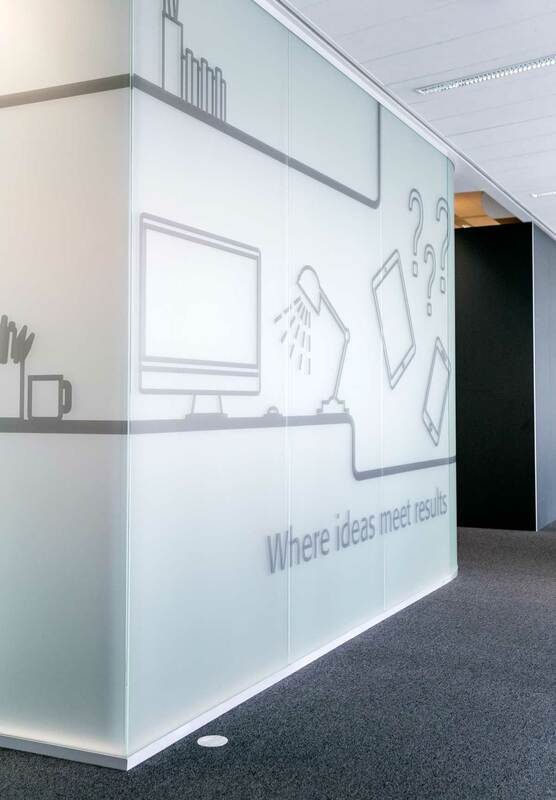 Take a look at some of the possibilities that are possible with window films. Go ahead, let your imagination roam free and give us a call when you’re ready to start bringing your ideas to life! Click HERE to see a few samples we can offer you today.